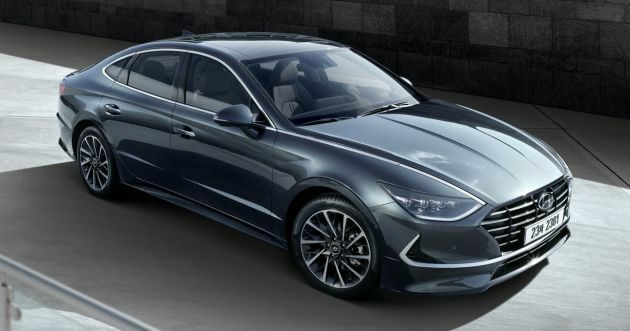 Hyundai has finally released some details regarding the all-new Sonata, ahead of its global debut at the 2019 Seoul Motor Show. The new D-segment sedan, which rides on the automaker’s third-generation platform, will get a new Smart Stream 1.6 litre turbocharged direct injection engine (T-GDi) that produces 180 hp, and it’s married to an eight-speed automatic transmission. Visually, the Sonata 1.6 Turbo is highlighted by the automaker’s ‘Parametric Jewel’ radiator grille, complete with air ducts beneath the headlights that help channel air through the bumper and across the face to reduce drag. Behind, the boot lid gets a wing-shaped spoiler that adds stability at higher speeds, and it also gets a unique rear bumper and twin-tip exhaust exits. Inside, the Sonata gets a completely overhauled cabin, starting with a new dashboard layout that is highlighted by a freestanding touchscreen infotainment system and a winged-shaped instrument binnacle. Hyundai designers say the cabin is supposed to create a “lightweight feeling,” hence the slim air vents. The gearstick has been replaced by buttons, with switchgear for the drive mode selector and driver assistance systems placed nearby. Compared to the preceding model, the new Sonata is longer at 4,900 mm (+45 mm), wider at 1,890 mm (+25 mm) and has an enlarged wheelbase of 2,840 mm (+35 mm), although the sleeker look shaves off some height, which now measures 1,835 mm (-30 mm). It’s been said that the fastback styling is reminiscent of models like the Volkswagen Arteon and Audi A7 Sportback. At the Seoul show, the Sonata 1.6 Turbo will be joined by the Veloster N, i30 N and the NEXO. Interested? Stay tuned for more details! The post 2020 Hyundai Sonata – new 1.6L T-GDi engine, 180 hp appeared first on Paul Tan's Automotive News. 0 Response to "2020 Hyundai Sonata – new 1.6L T-GDi engine, 180 hp"